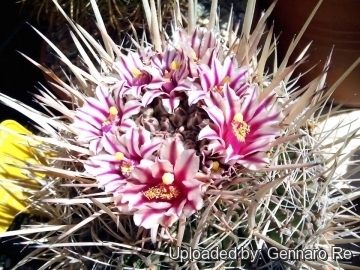 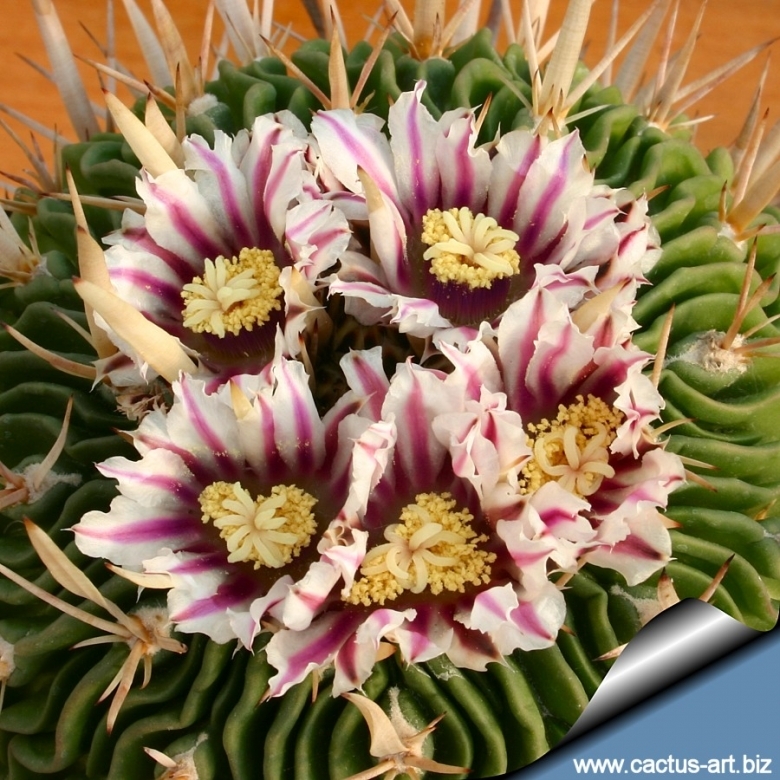 Description: Stenocactus crispatus (Formerly known as Echinofossulocactus crispatus) is one of the more popular and prettiest cactus species. 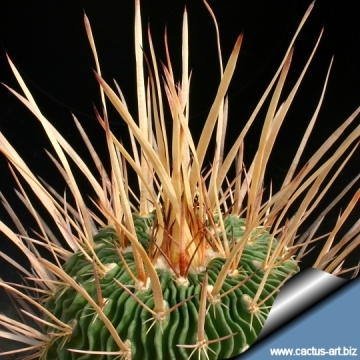 It is closely covered with very long flattened spines and wavy dark matt green ribs contrasting vividly with the pale wool of the new areoles. 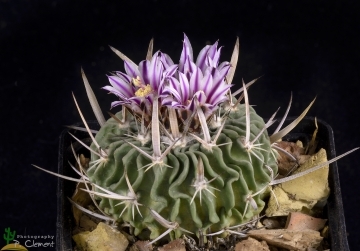 It is a very variable species that now includes many form (previously considered independent species) with one form intergrading into another, creating a taxonomic nightmare. 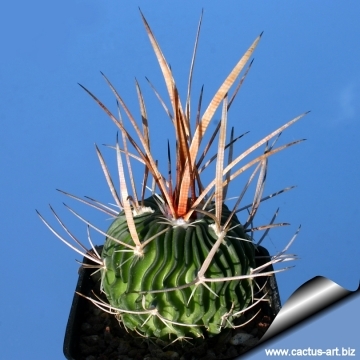 It is similar to Stenocactus multicostatus and equally variable, but has often a darker stem with less numerous ribs. 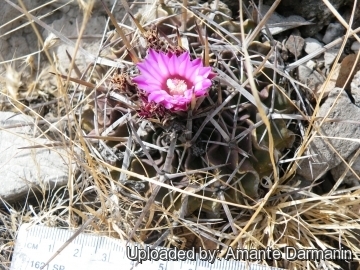 Habit: It is a solitary plant (or rarely branching) . 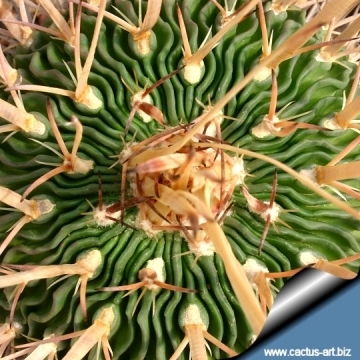 Ribs: (25-)30-60(-80) thin, more or less folded, very regularly and attractively waived and depressed in the region of areoles. 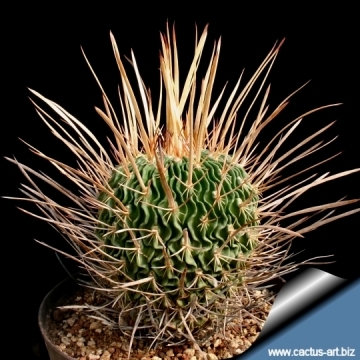 The flattened, wavy or curled ridges of this species are characteristic of other kinds of Echinofossulocactus. 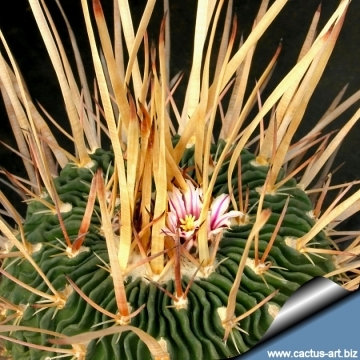 Cultivation and Propagation: Stenocactus crispatus is easy to to care cactus, recommended for any collection that needs lots of light with ample airflow.